Good Girl Gone Redneck: I Know What You'll Be Reading This Summer. I Know What You'll Be Reading This Summer. You know that I'm addicted to books. And you know I can't help buying them and saving them, whether it's a hard copy or downloaded to my Kindle. So I've pulled together a bunch of summer releases that I'm anxiously waiting for and sharing them with you so you've got your finger on the pulse of the next best reads. As always, you'll find affiliate links to Amazon in this post. If you should happen to buy these books while using these links I'll make a teeny tiny bit of money towards my next book purchase and love you forever. 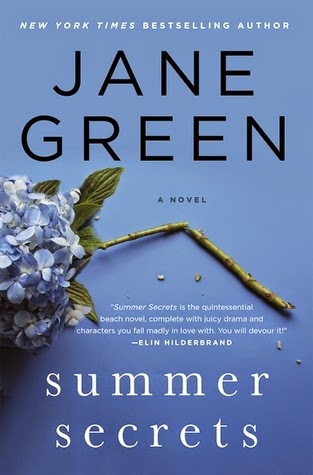 I've been a Jane Green fan for (gasp) about twenty years. I'm not sure that's even possible and I will probably have to check and see when her earliest releases came out - but yes - it's been forever. I haven't read her in a while because I just drifted away in search of new authors. And I've found new authors, and a new love for my old favorites. And so I'm really looking forward to Summer Secrets. It is a story of a woman's life - through her 40s to her 30s and 20s - I'm not 100% sure of the order of the story, as I haven't read it yet! - but I love when we get to watch a character grow. Especially when it's shared through flashbacks. 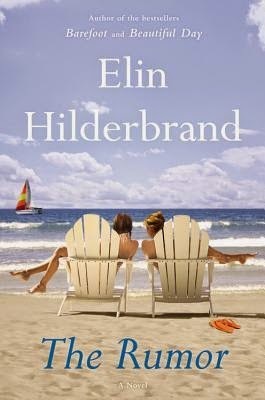 Hilderbrand's new book is about friendship and gossip - what more could a reader ask for? A beachy setting for a perfect beach read? Take a look at that cover. You're set! I have a feeling this will be a page-turner and I can't wait! The Rumor release date is perfectly timed for your summer travels. But if you want to read one of Hiderbrand's books before then I'd recommend checking out Barefoot or Silver Girl, two of my personal favorites. If you haven't read The Good Girl yet you absolutely must. Kubica's first release was phenomenal. I devoured that book. It's one of my "five books you should be reading now" recommendations. 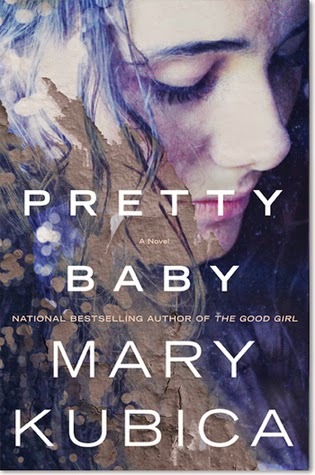 Which is why I know that I absolutely will be reading Pretty Baby this summer. This book is one you will need to get your hands on before everyone starts talking about it. I'm pretty sure I can leave it at that, but if you need more detail head on over to the Amazon page to pre-order, stat! 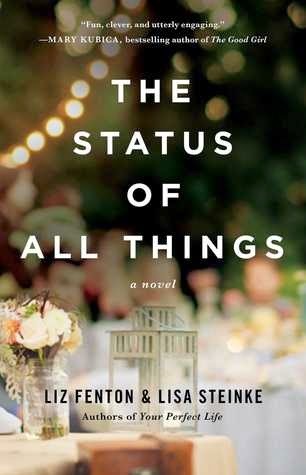 The Status of All Things is a book about a woman who is obsessed with social media. I think she and I need to be friends. Ehem. Kate (said woman) finds that whatever she writes on Facebook starts to happen in her life. So she gets an opportunity to rewrite her history. To travel through time, kinda sorta. The concept of this book is surely what has had it land on several lists I've read about upcoming releases that I just have to read. Which makes it an immediate addition to my to-read list, and something I'm keeping my eye on. Fenton and Steinke have written together before, and though I haven't read their previous work it's received positive reviews and appears that their real-life chemistry plays out on the page. I'm a big fan of Karen White. In fact, her book On Folly Beach was one of the first books I reviewed! So that makes her extra special in my mind. I've read several of her novels and not come across one I didn't enjoy - so when I see a new one on its way I've absolutely got to sign up. I love that this story is set in the south and also has a northern component, that happens to fall in Maine - which is where my husband is from originally. Family dynamics, life, death, relationships - all things I love in the books that I read. 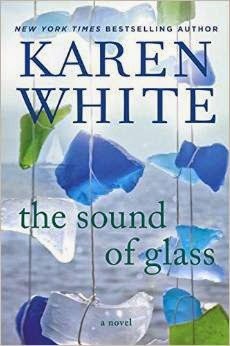 The Sounds of Glass sounds like a perfect summer pick. 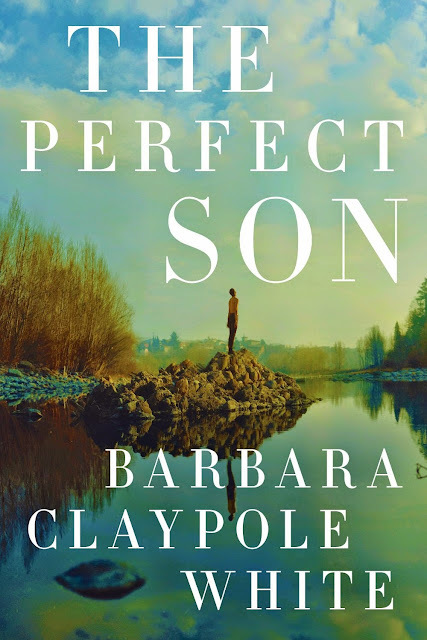 Barbara Claypole White has quickly become one of my favorite authors. After having the privilege of reviewing two of her books I'm thrilled to say she's also become a friend. Barbara is a talented storyteller, weaving her characters through settings you can quickly find yourself at home in. The Perfect Son looks to be a beautiful compilation of her English roots and her North Carolina life. And if you're in need of some great reads before July, check out The Unfinished Garden (my review) or The In-Between Hour (my review), both incredible reads. So - there you have it - six books you'll need to read this summer. I'm quite sure they're going to entertain you and you won't regret signing on to read them. Let me know what's on your to-read list and what your favorite beach read is. I'm sure I'll be adding more to my list! Too many books - too little time!!! Can I just sit and read all summer long???? I can't wait to tuck into these over the summer!!! I always like to read about books to go on my list. Thanks! I love your list Andrea. Can't wait to read some of them! My sister is always asking me for book recommendations and I don't read as fast or as much as her. I'll be sure to share this post! The Sound of Glass sounds pretty good and it's released on my birthday so I'm going for that one the most. Have to check out The Status of All Things, too. Great list, thanks for sharing! The Sound of Glass is a marvelous read.